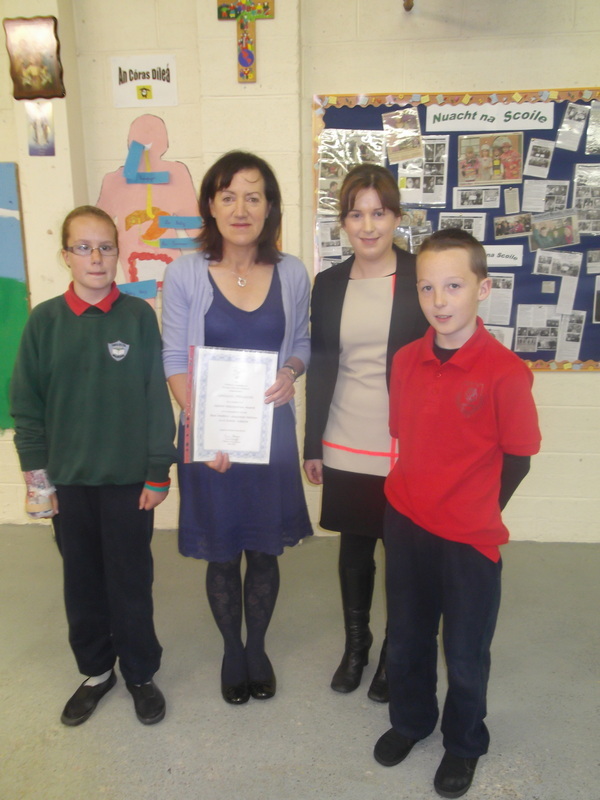 Bhí ár scoil páirteach i Scéim Nua-Theangacha sna Bhunscoileanna. Táimid taréis leanúint le bheith ag múineadh na Fraincíse taréis deireadh na sceime seo. 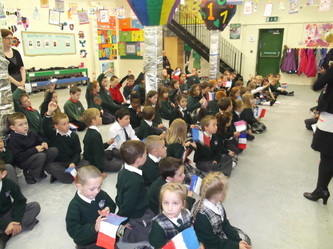 / Our school taught French as part of the Modern Languages in Primary Schools' Initiative. 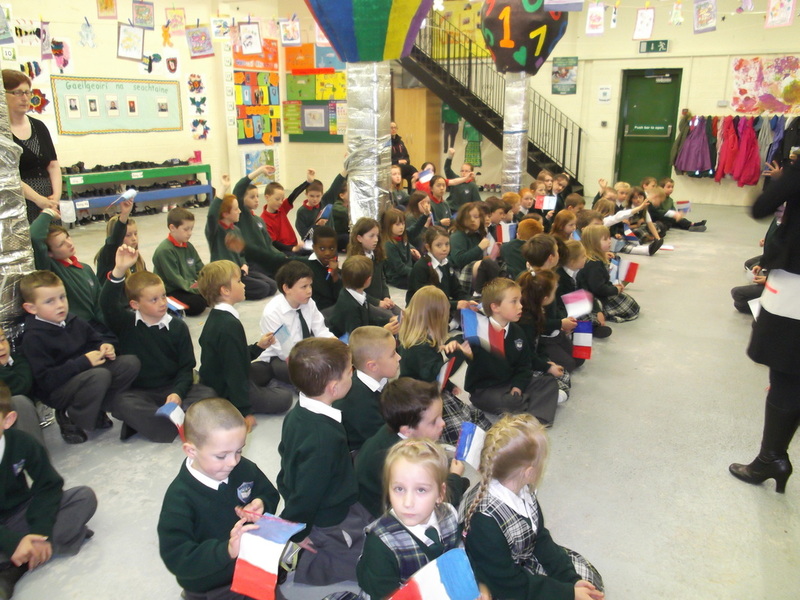 We have continued to teach French in the school since the abolition of this national programme in 2012. 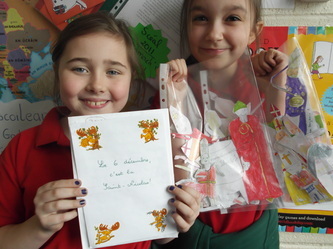 There are many reasons why the learning of another modern language at primary school is beneficial for children. Research has shown that children who are introduced to other languages from an early age can become more proficient language learners and that learning another language can have positive effects on the learning of other curriculum subjects. Evaluations of the MLPSI have also noted the positive effects it has had on pupils not only linguistically and academically, but also socially in terms of their self-esteem, confidence and in assisting their preparation for second level. 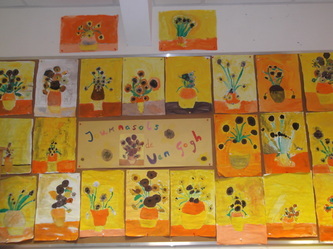 As well as enhancing children’s literacy skills in their mother tongue, learning more languages leads to an enhanced awareness of and openness to other languages and cultures which can contribute much to children’s knowledge of the world and ultimately lead to improved social and cultural cohesion within a school and community context. Learning another language in primary school will help ensure that your child has the necessary skills and strategies to help him/her with her language learning at second level. Even if your child does another language(s) at post-primary level, the skills and experience he/she has gained at primary level will help ensure that language learning is easier and more enjoyable. Le français n'est pas seulement parlé en France. Il y a beaucoup d' autres pays francophones. Nous nous renseignons sur tous les autres pays où le français est parlé. Regardez la carte pour plus d'informations. C'est très intéressant! 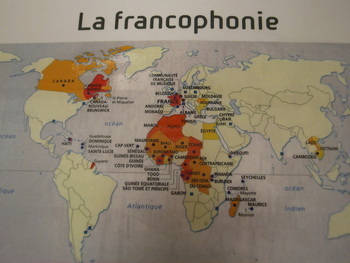 France isn't the only country where French is spoken. There are many other countries too. We are learning about these countries at school. See the map for more information. Ní labhartar Fraincís sa Fhrainc amháin. Tá an-chuid tíortha timpeall an domhain ina mbíonn Fraincís le cloisint. Táimíd ag foghlaim fúthu. Féach ar an léarscáil le haghaidh na tíortha seo. Tá sé fíor-shuimiúil! 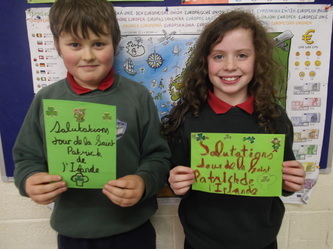 La troisième et quatrième classe ont envoyé des cartes de jour de la St. Patricks à nos correspondants français pour célébrer Saint Patrick. En janvier, nous avons reçu de belles images de père du Père du Noël de nos amis français. Táimíd taréis cártaí Lá le Padraig a sheoladh chuig ar bpairtnéirí etwinning Fraincíse le déanaí. Fuaireamar pictiúirí deasa de Dhaidí na Nollag i mí Eanair freisin. Third and fourth class have sent St. Patrick's Day cards to our eTwinning partners in France. We received lovely Father Christmas pictures in January. Nous avons étudié l'artiste Vincent Van Gogh qui a passé quelques années en France. Il parlait français. 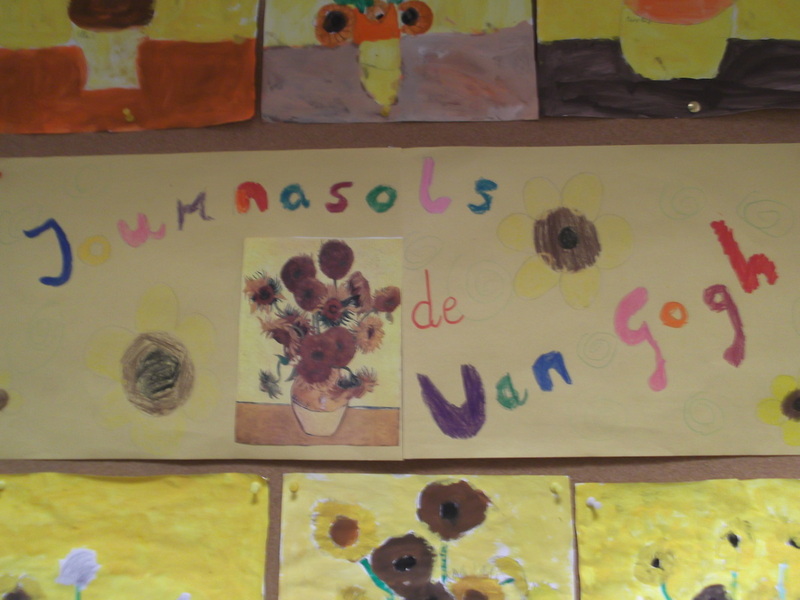 Nous avons recréé sa peinture 'Sunflowers'. Dhéanamar staidéir ar an ealaínteoir Vincent Van Gogh a chaith cuid dá shaol sa Fhrainc. 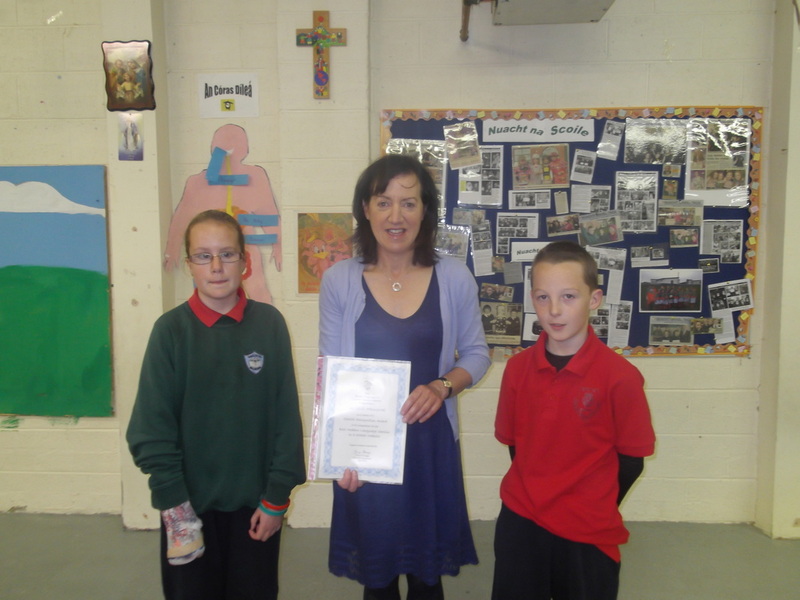 Bhí an Fhraincís ar a thoil aige. Dhéanamar ath-chruthú ar an bpictiúr 'Sunflowers'. 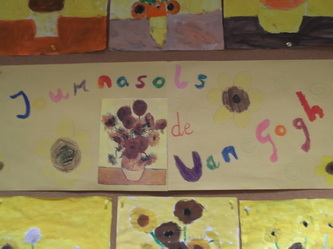 We studied the life of the artist Vincent Van Gogh who spent some years in France. He was a fluent French speaker. 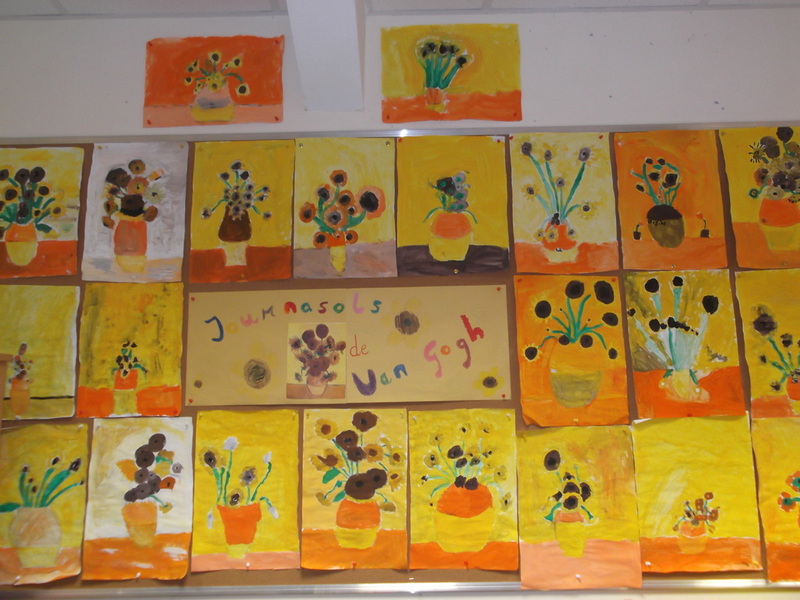 We re-created his painting 'Sunflowers'.